I guess you’re wondering how I got here? Well, If I had a dollar for every time someone asked me to put together a kit with my cards in it, I’d have a chunk of change! Likewise, people who said they wished they had everything I used to make my card so they could make the same card. You asked for it, you got it! 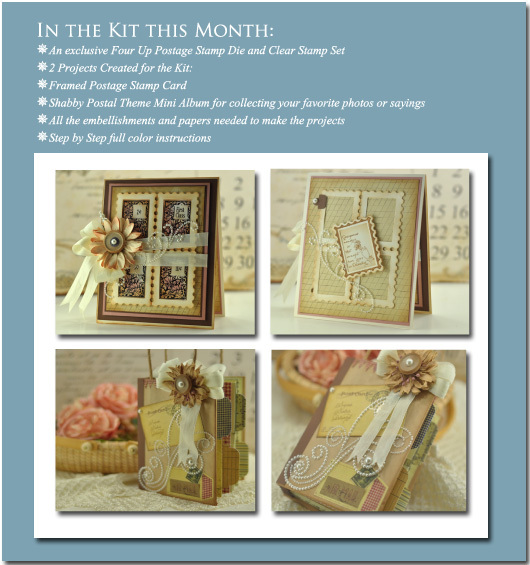 For quite some time when I realized I would have to go back to work, I mused about how I’d love to put a kit together while designing cards for my blog and and share the kits on Etsy. I was very fortunate that when I said that, someone was listening. After many phone calls and brainstorming around the dining room table it all came together. JustRite Papercraft extended the opportunity to make stamps and dies while another entity well versed in kits (home of the Button Farm Club) agreed to do all the legwork, warehouse all the kit components, assemble the kits, handle customer service and shipping. With that kind of support, it certainly leaves me time to concentrate on Amazing Paper Grace and designing!! This is an answer that will help in the personal cost I absorb to run the Amazing Paper Grace server and will allow me to continue to spend time developing fun things to show you on the blog. You’ve given me such a warm welcome with the stamp set debut, I hope you’ll come along on this journey with me too! We’ve been at work on this since April, and now you know the rest of the story! P.S. Next month’s die template is my favorite yet and if you loved Just The Right Words, you’ll love the stamp set that’s coming too! Drum roll — and now for the winner of this weeks blog candy! Thanks so much for stopping by today! I’m off to the craft table to get stamping today. P.S. If you have any problems navigating the Kit Club Site today, don’t hesitate to contact 918-453-9111 and they’ll be happy to help you out! Congratulations Becca, well deserved and wishing you continued success. Becca, Wow this is wonderful news and I signed up to be a gold member! I need to change the shipping address as i missed the box that said ship to billing address. I attempted to edit it but the computer won’t let me :( Can you help? If you are using USPS it will reach me as the mail is being forwarded, but it adds a week to all mail delivery. CONGRATULATIOn Becca that is so awesome. I really wish, we could get it here too. I would just love to be able to join this. Congrats to the winner here too. Well, I was CLOSE in my guess! I thought you might be going to work full-time with Justrite Papercrafts. I believe this idea is awesome; bringing Spellbinders and Justrite stamps to a new level! Congratulations to Margie on the candy win and a Big congratulations to you as well Becca on your new adventure. The kits sound Super Fantastic. Becca, what a wonderful idea! Yes with a kit club you will know how many to have pre-made and can manage your time better…and hopefully still have time to create more amazing cards to share on your blog!!! Congratulations and best wishes on your new venture. Congratulations, I hope it will be very successful for you so you can stay home and continue your blog and the ideas and inspiration you give us. Congratulations Becca, wishing you much success. WOW!! Wonderful news, Becca! I’m SO excited for your new venture! This is a marvelous start with beautiful products and excellent supportive companies! Wow! I’m praising the Lord with you! Oh my gosh Becca I am so enormously PROUD of you. God has led you to this journey and now it begins. I know the path will be very exciting. I can’t wait to take the journey with you. Oh Becca! Dies and stamps :o) !!!! How exciting. I wish you every success for you richly deserve it. I thought I signed up but I guess I didn’t because I didn’t get a number…better go back and make sure. Oh, Becca, I’m so excited for you!!! And excited for all of your followers, too, because now we can create the “Becca way”!! When I guessed earlier in the week that you were going to be travelling the country giving workshops/classes, I wasn’t too far off the mark! These kits will be like a Becca workshop in your own home! I can’t wait until the first kit arrives! Congratulations and best wishes as you begin this new adventure! Becca, I’m delighted for you. You deserve it so much. I just wish I lived in the US. How about a mini kit for your overseas fans which wouldn’t penalise them with heavy import taxes? Very good luck to you in your new ventures. I’m thrilled for you. You are an amazing lady and you are an inspiration both in the cards you so freely share with us and in the faith you’ve shown in difficult times. I’m so pleased that God has blessed you in this way. and looking forward to each shipment….LOVE THIS! I just signed up for the Gold membership, can’t wait till Sept for shipping time! Oh Becca I am so lovin this… I didn’t guess this, but I know someone did as I read it.. Love your idea and so glad you are putting up kits and showing us some ideas on how to do your beautiful cards. Love “Hope Floats” and yes you will do well. Congratulations to the winner. Yippeeeee! We all will win with the kits! Congrats Becca and thank you also, feels like you will be creating with us all in mind. Yea!!!!! Everything needed to attempt one of your gorgeous cards! Congratulations on a new endeavor. You are so deserving. God Bless! Congrats Becca it looks gorgeous and good luck with the club you deserve it. Not able to afford it but can still follow you and love all you do. WOW well worth the wait….CONGRADS to you, you done it again. Oh Becca I can hardly wait to place my order. . . . . but oh how do I hide this expense from my hubby. . . . he’s an understand guy, I’ll just tell him anything by ‘Amazing Paper Grace’ is worth it!!! 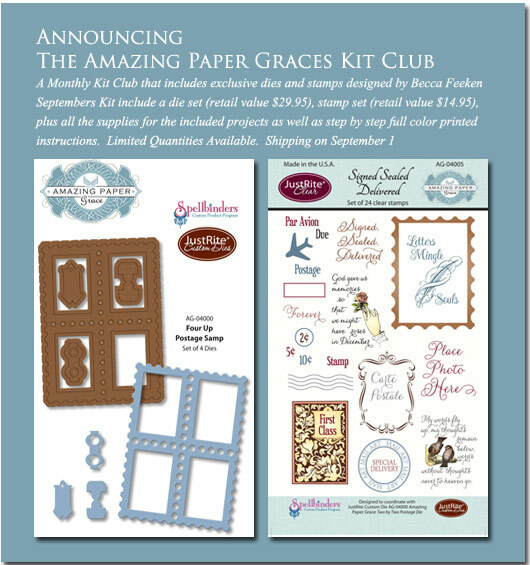 I’m so thrilled to see your new endeavor and can’t wait to touch the first months kits!!! To be able to make cards like you with all those gorgeous embellishments will be like the topping on the ice cream. 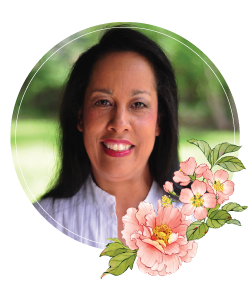 Thank you for taking a chance on something new in your life, I know you will be thrilled with the results of this, and all of us will be just so overwhelmed with our kits!!! Hi becca,i just wanted to say i’m really excited about your new venture and have become a gold member and can’t wait for my first kit to arrive! what a great idea and I think I guessed pretty close in a way I said a stamp and die matching set but didn’t think about a kit wow- you share all your lovely ideas and papers/ribbons etc. what fun. WOOHOO I’m now a Gold club member #124! So excited for you Becca, can’t wait to start receiving kits. Wow! Congratulations! Everyone is going to have so much fun with these kits. I am trying to figure out if I can afford, but I better not wait too long, as it looks like the kits are flying off the shelves! Oh what a great idea. Love it, love it. Though I live overseas I am hoping the shipping is not too expensive as I love your cards and will certainly want and will have to have your kits. hi I live in new zealand and want to join your kit club but you dont have new zealand on there what can i do?? Congratulations Becca! I figured with a gift card prize it had to do with dies and stamps, just didn’t put it into a kit. How awesome! Can’t do it right now but hopefully you can add sometime a little later! I have already this year spent too much money since I bought the Grand Calibur and many, many dies. I wish you the best of luck and was lucky enough to win a set of your word dies in the 3 day contest – so blessed! Will continue to watch impatiently for your daily blogs. Hopefully they will be closer together ~ hate to miss a day!!!!!!!!!! GOD BLESS YOU RICHLY!! EEK! I slept on it and decided just to order the one month just to see how much Customs will charge me. I am pretty excited!!!!! Let’s get crafting!!!! I am 161! Congrats Becca! Congratulations to the blog candy winner! Enjoy!